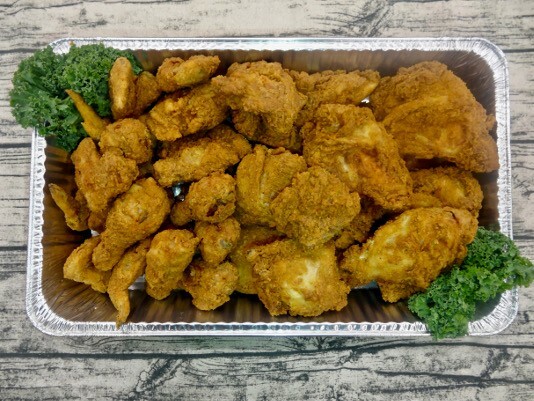 A crispy variety of fried chicken breast, thighs, legs and wings. 32 Piece Fried Chicken. Serves 10 to 12.